I’ve just had my first encounter with Hawaiian six piece band The Green. They’re part of the burgeoning U.S. reggae scene with successful bands such as Groundation, Easy Star All-Stars, Soja, Rebelution and John Brown’s Body. And Midnite of course. Even though they represent the Virgin Islands. Their third album Hawai’I ’13 was recently released and it went straight to the top of the Billboard Reggae Chart and #77 on the Billboard Top 200 Chart. And when listening to the 15 track set it’s easy to understand way. It’s easy accessible and just as appealing as a big scoop of chocolate ice cream on a hot and sunny day. Some will probably dismiss this album and its fusion of reggae, pop and soul, with a slight touch of rock, as lightweight pop reggae. Well, yes, it is slick and it is as polished as a Wall Street bankers shoes, but that’s not necessarily a bad thing. Hawai’I ’13 is jam-packed with infectious melodies, skanking grooves, memorable hooks, beautiful four part harmonizing and sing-a-long choruses. It can be a bit slick and sugary though. The piano ballad Chocolates & Roses is one such example. Luckily enough there are a number of standout tracks that will keep you interested – Good One and Something About It are two such examples. 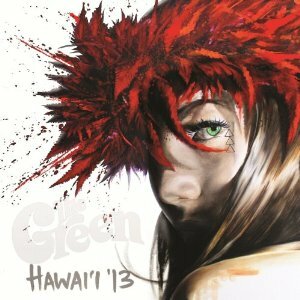 Hawai’I ’13 is a positive album from start to finish and it sounds like a warm breeze on a beautiful beach. This is good times with a capital G.